There is nothing more Italian than a FIAT 500. Forget your Ferraris and Alfa Romeos, it was the tiny 500 that became the car of the people during the late fifties and sixties. They were cheap, practical and economical and gave mobility to the post-war generation of Italians. 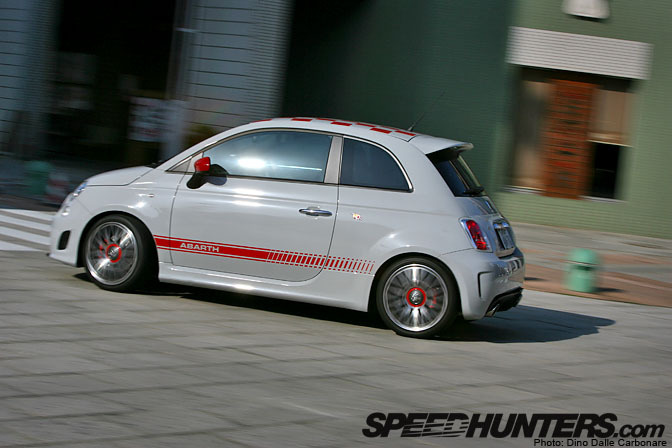 The little FIAT captivated the minds of enthusiasts with special Abarth modified versions like the original 595 which sported a more aggressive stance with pumped wheel arches and powered by a more powerful stroked version of the twin-cylinder motor. 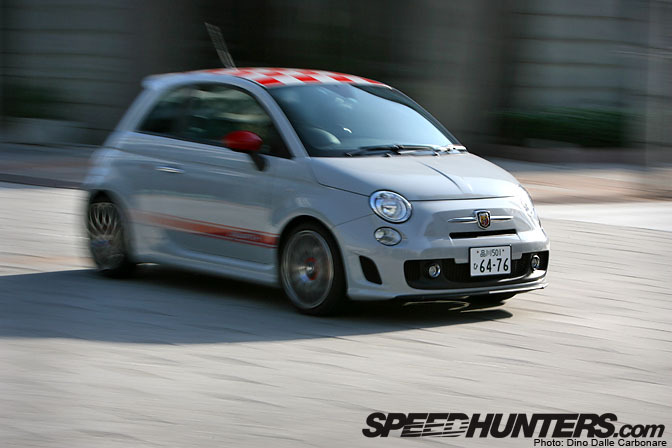 But enough with the past, you are probably wondering what I thought of this new Fiat 500 Abarth you see here, a car that has been getting nothing but positive reviews and one that is destined to be sold in the US market during the course of this year. 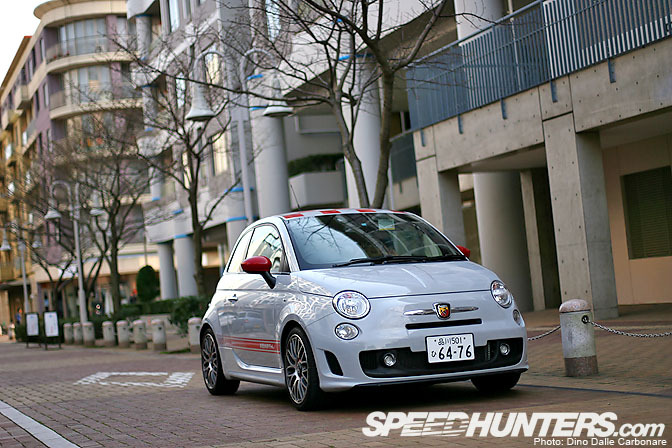 The little FIAT is one car I have been wanting to drive for a while now, something smaller and far less powerful that what I'm used to sampling here in Japan, but albeit one that tantalizes the senses for its impossibly fashionable looks. This is the perfect accessory to accompany any metrosexual city dweller, but after living with the car for a week or so I got to appreciate it for its capabilities rather than its cute retro looks. 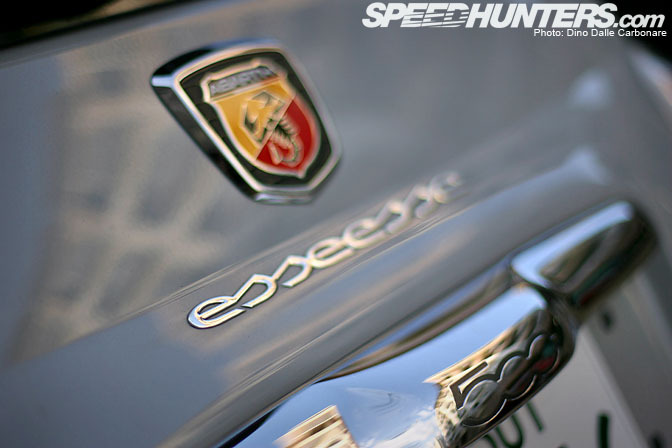 Let's get started with the nomenclature first, the Esseesse badge in particular, which is applied to the standard 500 Abarth once a dealer fits the optional performance-boosting package. The $5000 upgrade kit will only be fitted to your car if it has covered less than 12.500 miles and is less than 1 year old. The kit boosts power from 135 HP to 160 HP and torque from 133 lb/ft to 170 lb/ft thanks to a more aggressively tuned ECU that allows more boost to be run. The engine breathes easier thanks to a freer flowing BMC air filter. 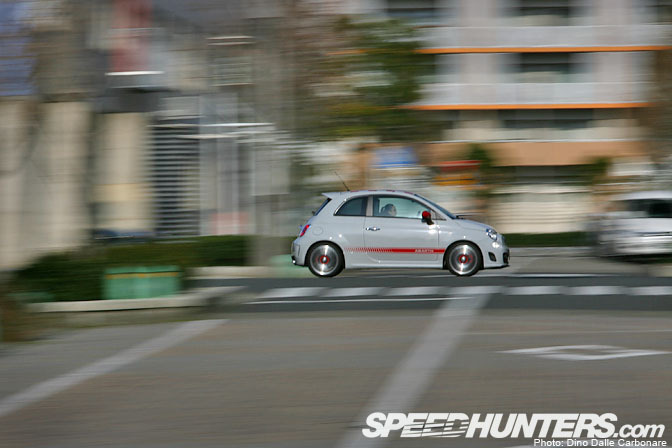 It might not sound like much but if you consider the 500 Abarth hits the scales at 1,100 kg there is definitely a potential for fun. And fun is precisely what the Esseesse is, providing all the right ingredients for a exciting drive…if you press the "Sport" button on the dashboard that is. When left off the 500 feels almost docile, the 1.4L turbocharged engine providing a smooth power delivery while the gear-shift monitor edges you to shift up quickly to improve fuel economy. In this mode the steering is massively over-assisted, light enough to be turned with one finger. 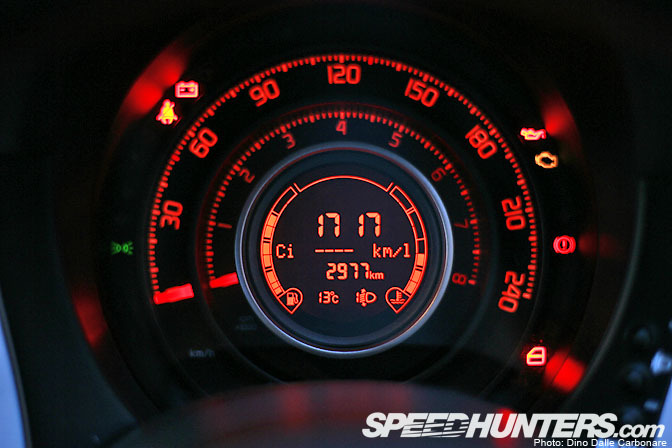 But hit that button on the dash and the 500 Abarth shows its real side, as throttle response gets crisper and the steering tightens up. In this setting the engine runs at full boost providing a very explosive power deliver with peak torque coming on early. Through the streets of Tokyo this 500 was probably one of the most fun cars I have driven in a while edging you on to stir through the gears, making full use of that low-rpm twist. If the exhaust is warm enough every gear change is accompanied by a loud backfire which at times made me think I was driving through a rally super stage rather than the capital's back streets! …making it instantly obvious that it's the sportier version of the range. 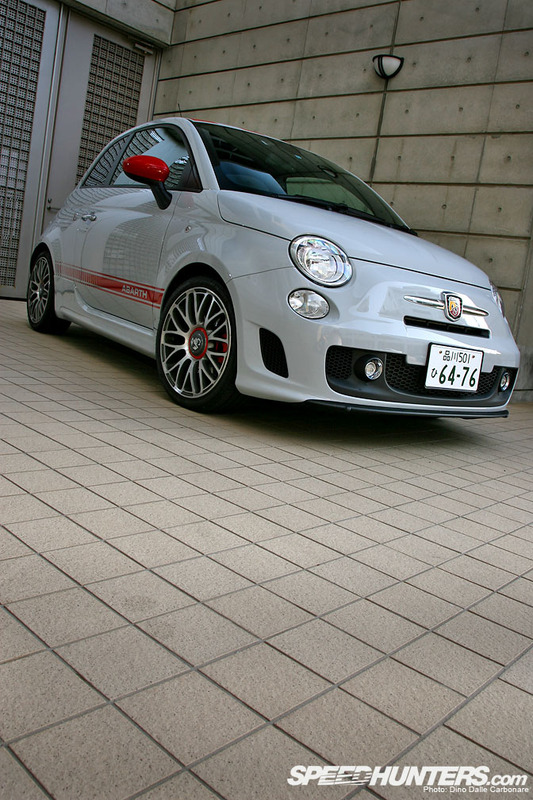 Just like the original 595 the car I drove around had the checkered pattern on the roof and the Abarth racing stripes along the doors. The Esseesse package doesn't focus exclusively on the engine, it also boosts braking performance thanks to drilled front and rear discs and higher friction brake pads. Suspension is tightened up thanks to lower and stiffer springs but it's the wheels most will notice, 17-inch in diameter and sporting a very catchy diamond cut multi-spoke design. …and the engine cover. There are no FIAT badges anywhere. 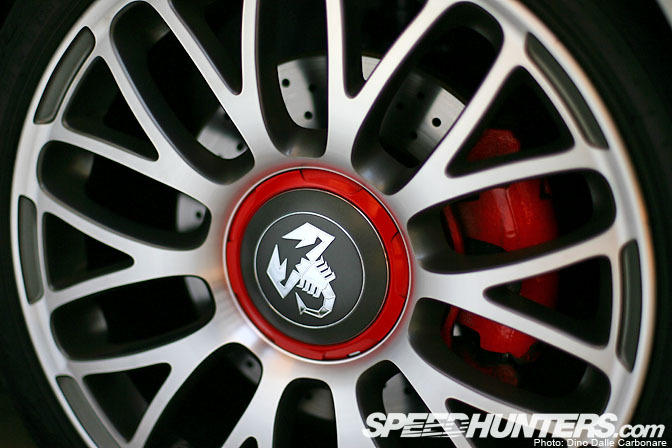 The Esseesse logo hints that this is not your regular Abarth. 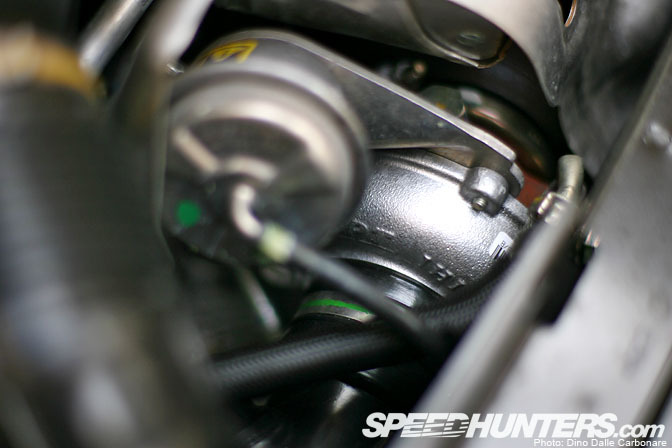 Here is a look at the little IHI turbo that boosts the 1.4L 4-cylinder. 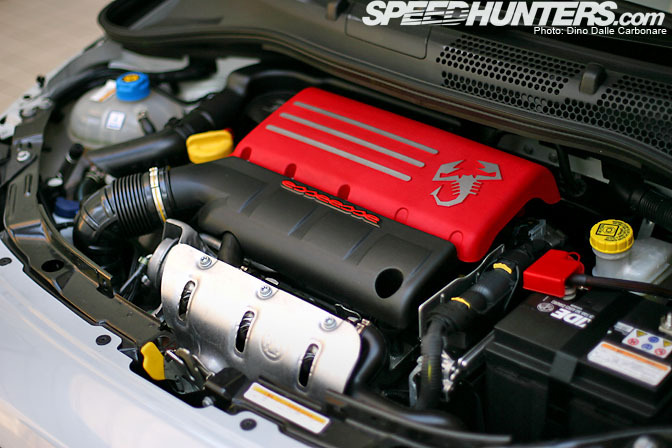 I'm sure someone in Japan will bolt an HKS blower sooner or later! The Esseesse proved to be a great city car managing to average over 24 mpg even when driven hard. 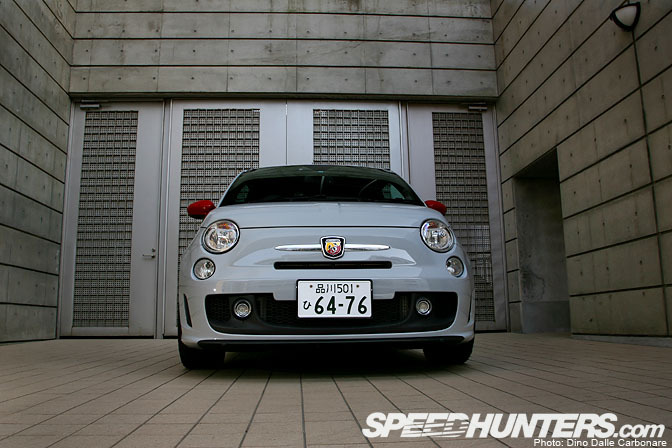 The front grille and badge looks almost identical to the one on the original 595. 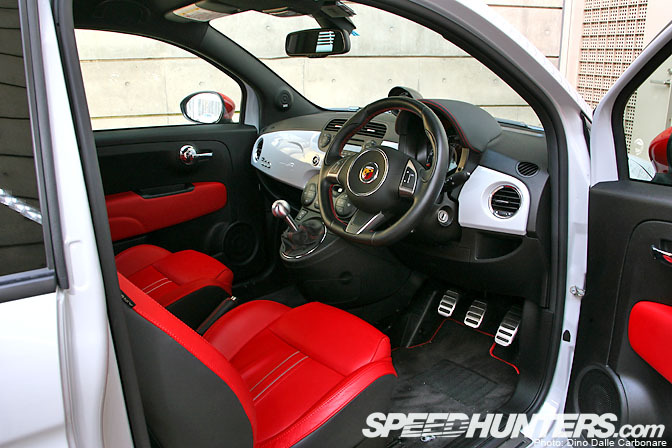 The interior has an obvious Italian flair with red leather front seats and a fascia color coded with the flat gray of the exterior. The car is well put together but the quality of the materials was a bit of a let down, the plastics hard to the touch and flimsy in areas. 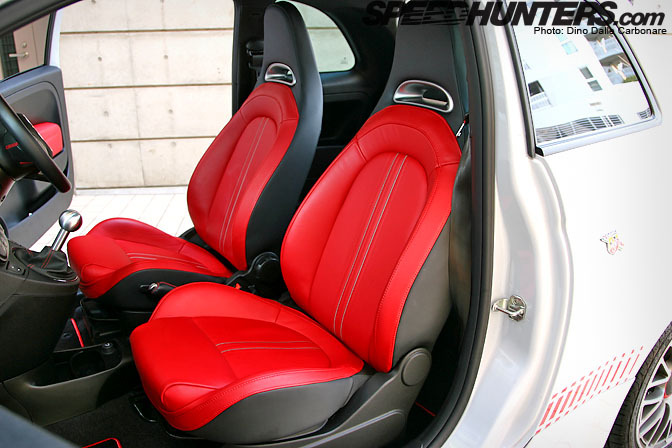 I wish the seats offered more adjustability, especially on height adjustment, sitting way to high for those wanting a sportier driving position. The rear seats can accommodate a pair of adults but I just didn't understand why they were upholstered in black, rather than in the same red used up front. 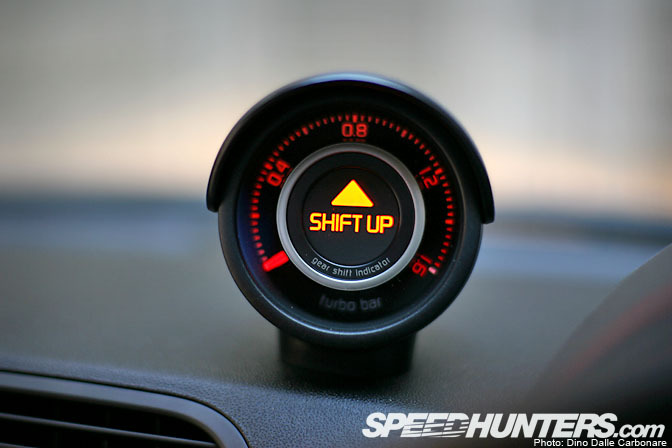 The dash mounted boost gauge incorporates the gear shift indicator, a nice touch but the positioning may be questionable to shorter people as it may hinder front visibility. I liked how everything was incorporated in one big instrument binnacle, the speedometer on the outside and the rev counter on the inside. The on-board computer had a lot of functions and I was even able to set the language to Italian! I thought I was back home for a minute or two! The handling was nice and tight with hardly any body roll, which was great but kind of made me wish the seats offered a little more in the way of side bolstering as you find yourself sliding around when pushing hard. To help limit wheel-spin when exiting corners FIAT provides a switchable "LSD" system, which applies the brakes to the wheel losing traction. Not a real mechanical LSD, but it actually works well, especially in the wet. The Esseesse does a good job of combining a high fun factor with a healthy dose of charisma and I have no doubt this little car will go down rather well when it hits the US market. You can expect pricing to be in line with the Mini Cooper S, which starts at $23,000. 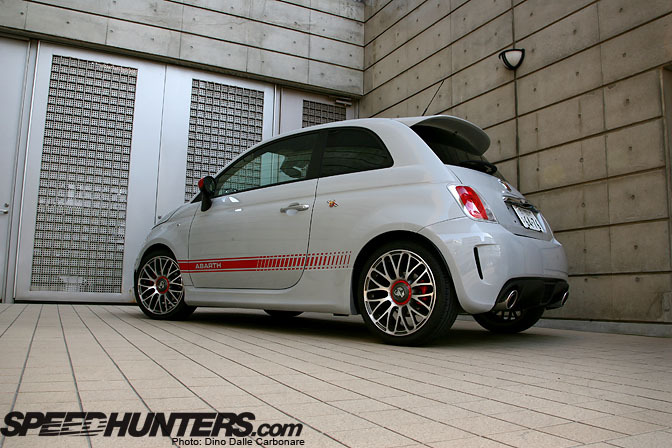 In Japan the 500 Abarth comes in at just under $32,000 with the Esseesse package costing an extra $5,000. The Cooper S is priced almost identically but the Cooper Works, which boasts quite a lot more power than the Esseesse, costs a little more. 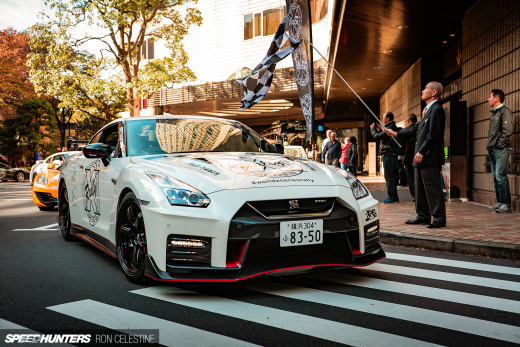 In Japan you can get a lot of car for that kind of money, putting the little 500 up against cars like the Honda Civic Type-R, the Mazda RX-8 or Roadster and even the Mitsubishi Evo X RS. 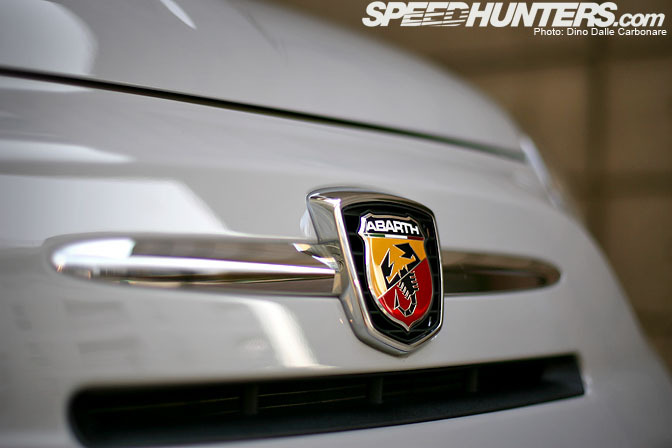 As you can see the choice becomes harder but like most Italian cars the Abarth oozes character and flair, something that a lot of buyers rate higher than outright performance. Just a clean set Dino! Meh, I sort of like it but then again I don't, Especially not with Japanese prices lol, 5000$ is a bit steep for an airfilter and a remap anyway. Ugly. Hate these types of cars. haha i can't wait for these in america! Wow, waaay too much money for that little thing. 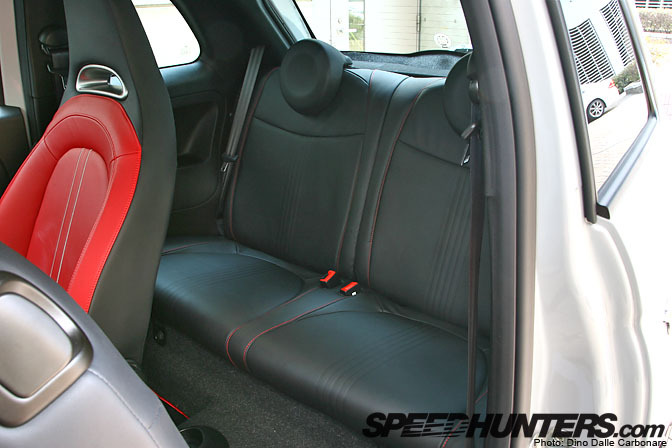 Why the back seats are black with the front red.... Simple it is an Abarth, these are the same guys that used to put seats in teh front that would not fold out of the way to get into the back seats, or realized they needed to open the rear bonnet to cool the engine then realized it was better for aero, then just welded it up on a production car. 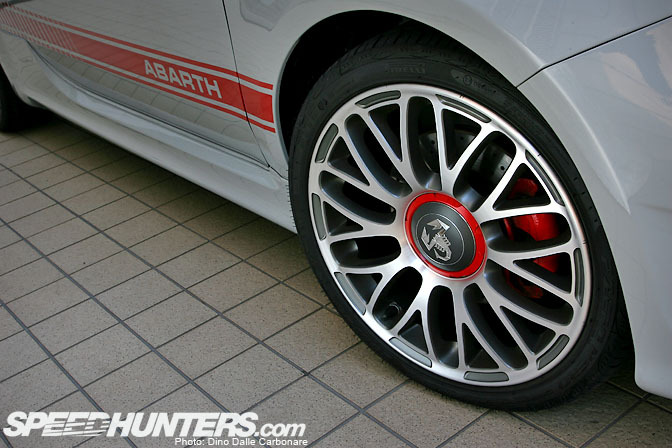 Abarth has a history of making some odd choices. Whats the car infront on the last pic? I'm guessing 5 series, then Honda Jazz, Misti Mirage then Kia Magentis???? When the new 500 came out I didn't pay too much attention to it, but reading this made me realize how similar it looks compared to the original model. Really nice car. They should do like Mercedes ant taking orders in the internet. That will give then and us a head start. That also will give them time to set up the dealer network. I now they will be Chrysler, but I hear that not all need to apply. The A500 in the US is predicted to be loaded with 170hp, and if the SS upgrades are proportionate, you can add another 30hp to the 10lb little go kart. Chris from the above website projects US prices to be around the 20K mark. Mpg and a relatively affordable thrill are what I need in this crazy world. I'll be getting one, unless someone can stop me with a US Alfa Brera. The last car in the picture is a Toyota Crown Athlete. Kias and Korean cars in general are rarer than Ferraris in Tokyo! am, sure, rear engine and rearwheel driver vs. frontwheeldrive. notice soemthink? it's complitly diverent. also you have to consider that the fiat 500 ist nearly twice as big as the first one. and finally, you have the fiat panda, which has the same size, more room inside and is like 1000 cheaper. you have the same chose of engine's, except the aparth stuff. 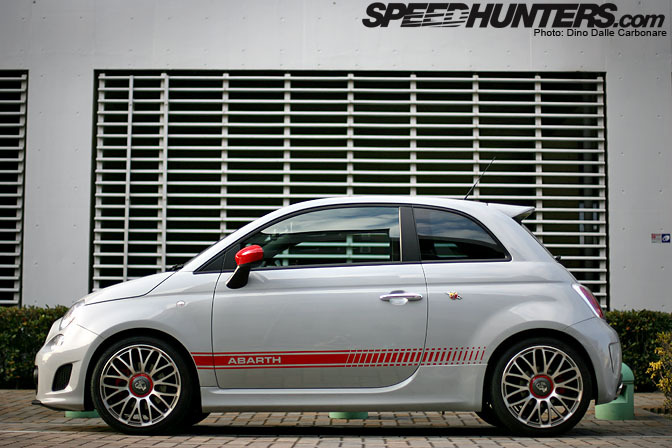 and theire will be a abarth version in future. i just don't understand, why people like the 500 anyway. it's just some retro desgin car. but it might be, me beeing german. who knows. ps. the panda, 500 and the ford k2 are more or less the same car with different setup and shape. all of them are produced in poland. at least they work, in comparsion to a real italian cars. I really like this car, especially ever sine I saw Jeremy Clarkson's review. It is a true hot hatch that keeps the weight down, which is a big problem with lots of new cars, even small ones. It also has character, which a lot of new cars lack today too. 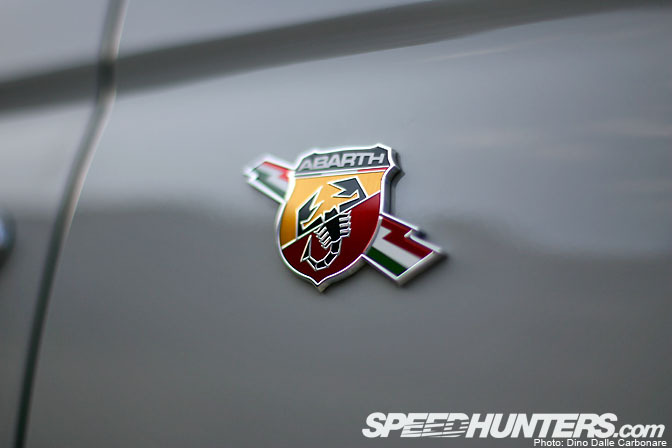 I just hope The 500 Abarth isn't near $25k in the US because then you are stepping into 300+hp V6 Muscle/sports car (Mustang, Camaro, Genesis Coupe) and getting close to 400hp V8 muscle car (Mustang 5.0, Camaro SS) territory. I spy z11 cube in last pic..
No matter how many time's i see a 500, it put's a smile on my face! I got a ride in a 500 Abarth by someone who should't have a license, but epic fun on a twisty backroad! 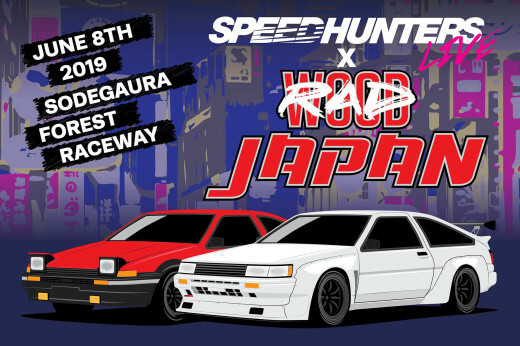 I guess in Japan, the 500 would be an intresting alturnitive for a hot hatch...considering what's on offer from the home makers! Great writeup Dino and beautiful pictures! Not too much longer until they're available here in the US! 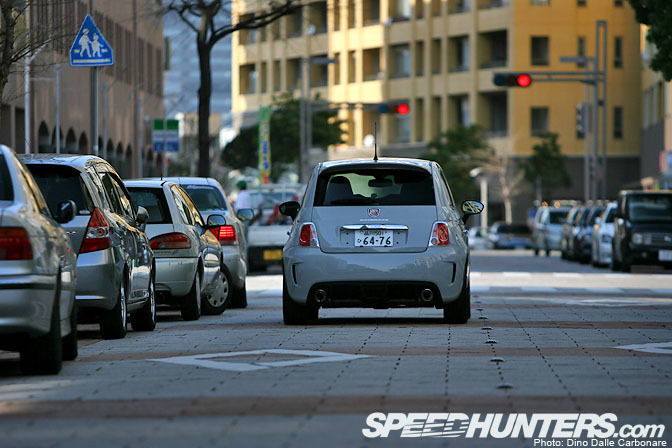 Would that car be considered a kei-car (yellow license plate) in Japan?